Approx. 34" x 34". Our popular Little Bear Paw quilt from Red Crinoline Favorites No. 4 made in indigos. 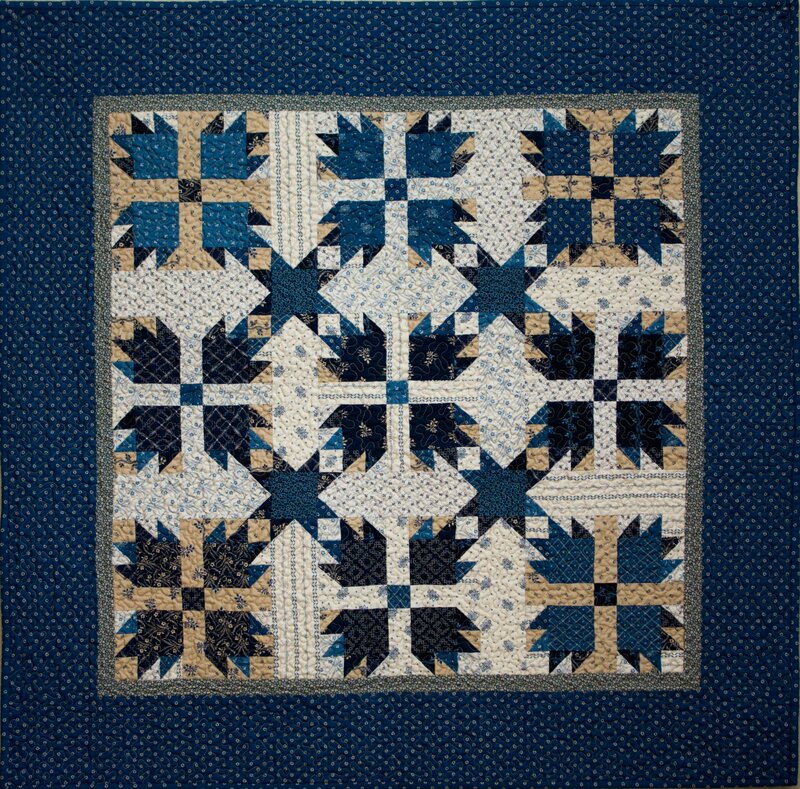 Kit includes quilt top, binding, backing, pattern and "Star Single" half-square triangle papers.